The buzz has been going since quite sometime that after Thugs of Hindostan, Fatima Sana Shaikh would be sharing screen space with another Khan of the industry in her next film. It is now clear with whom she’d be working next. It has been confirmed that Fatima would be featured in an horror-comedy, titled Bhoot Police, which would also star Saif Ali Khan in the lead. It also features Ali Fazal in the upcoming flick. This horror-comedy would be in a 3D, directed by Pavan Kirpalani. Fatima Sana Shaikh to Romance Saif Ali Khan in Tantrik? Earlier the film was apparently titled as Tantrik. But Fox Studios have changed the name of this upcoming horror-comedy to Bhoot Police. In an recent interaction with Mumbai Mirror Saif Ali Khan had confirmed about the title saying, “It’s now Bhoot Police, a horror-comedy with Fox Star Studios.” The shooting of the film will commence from August 2019. Saif Ali Khan Starrer Tantrik Is Now Titled Bhoot Police; To Be Directed By Pawan Kriplani. 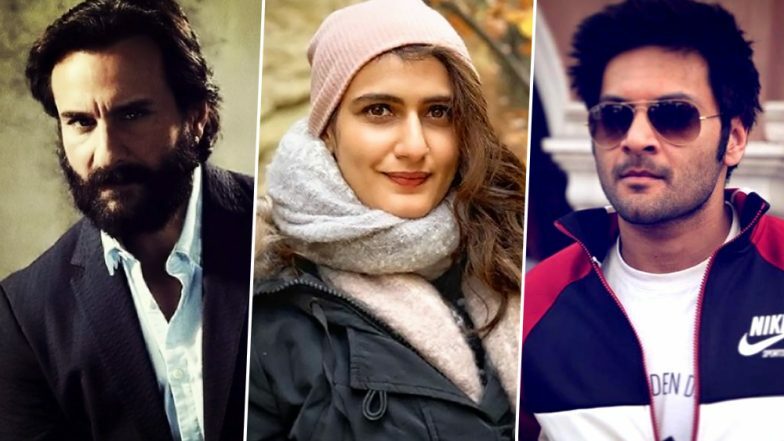 OFFICIAL ANNOUNCEMENT... Saif Ali Khan, Ali Fazal and Fatima Sana Shaikh in #BhootPolice... A horror-comedy in 3D... Directed by Pavan Kirpalani... Produced by Fox Star Studios... Shoot commences Aug 2019. Before Saif Ali Khan, the makers had considered Abhishek Bachchan for the role. Now with Saif in the lead, it would be intriguing to watch his chemistry with the Dangal fame Fatima Sana Shaikh. Fatima’s last film Thugs of Hindostan did not shine at the ticket windows as it was expected. Meanwhile, Saif has more two films in his kitty - Hunter and Taanaji: The Unsung Warrior. Stay tuned for more updates.